Water emergencies like sewage spills and pipe bursts can lead to a lot of problems for the homeowners in Marietta and you’re going to need expert assistance from 911 Restoration Central New York to make your property look good as new. Our water damage Marietta technicians have the proper training and advanced drying equipment to be able to take on any water emergency and give you a fresh start! Floods, pipe bursts, and sewage spills are all major problems that are going to need immediate attention to protect your home from further harm like flooding, mold growth or wood rot. Whenever you need a quick response to leaks, our water damage Marietta team can arrive within 45 minutes of your emergency call. 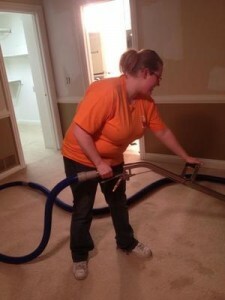 By taking on the problem as soon as possible, we can make your home get back in shape right away. Once our water damage Marietta specialists arrives, we’ll be providing you with a free visual inspection that will help us recommend the proper solutions at the most affordable price. We are available 24/7 to take on any water emergency day or night. Our on the day services will get you the help you need exactly when you need it. Rest assured that with 911 Restoration’s quick response and availability, any water damage emergency can be taken care of immediately. A roof leak is a common way for water to get into your home and start causing trouble for you. 911 Restoration’s water damage Marietta team is trained, equipped, and have over three decades worth of experience in handling all manner of water damage situations, including roof leaks. Make sure you clean your gutters on a regular basis. Clog-free gutters allow water to be redirected away from your home properly. Inspect your roof for any signs of damage. Damaged flashing and missing shingles can all be caused of roof leaks. Repairing any roof issues early on can help you in preventing leaks from occurring once it starts raining. Check your attic insulation. Excess humidity may be a sign of roof damage and can lead to mold growth. Have pros check your home’s insulation. 911 Restoration’s water damage Marietta specialists are IICRC certified which means we’ve undergone rigorous training to be able to provide only the highest quality of water damage repair and restorations. We will always put you first when it comes to taking on your water emergencies, and you can rest assured that we will have your absolute satisfaction in mind. 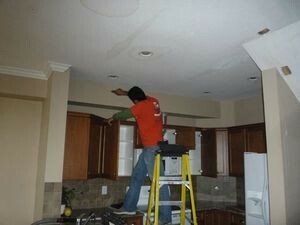 Trust that our team will be able to get your home a fresh start. Give us a call today!